Gate comes standard in silver or black with a shimmer finish. 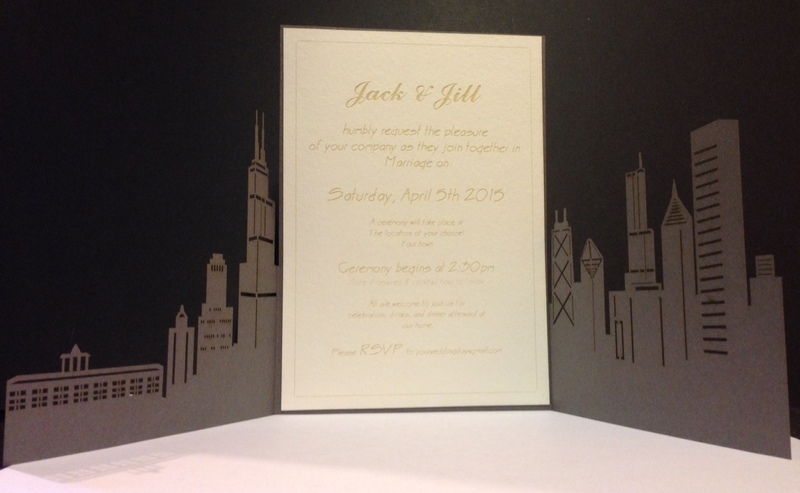 Custom colors available at no charge for orders of 50+ invitations. 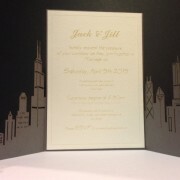 $45 charge for custom colors on orders of less than 50 invitation. 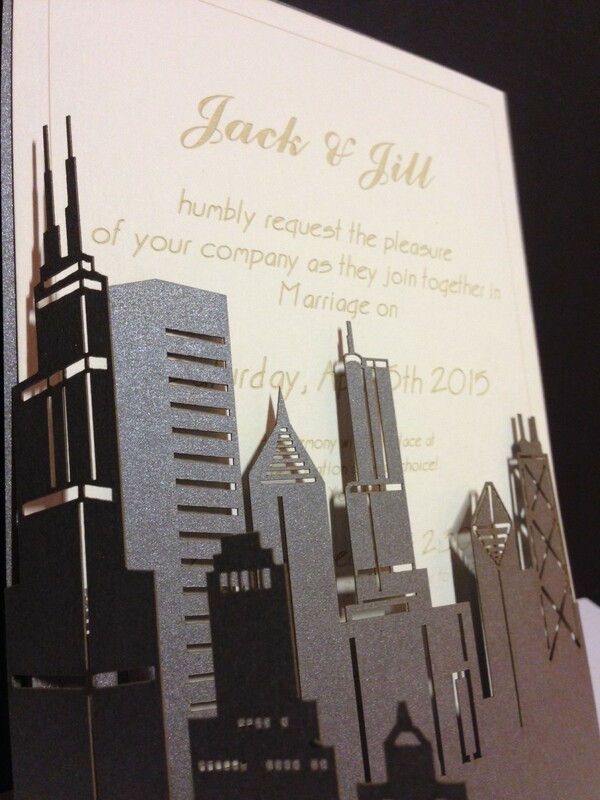 Order includes wedding gate, invitation and envelope. 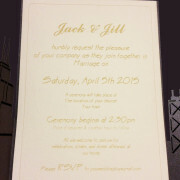 RSVP cards available for additional $3 each. 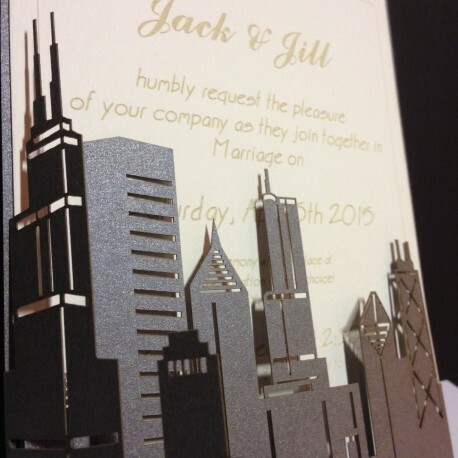 Want a different skyline? 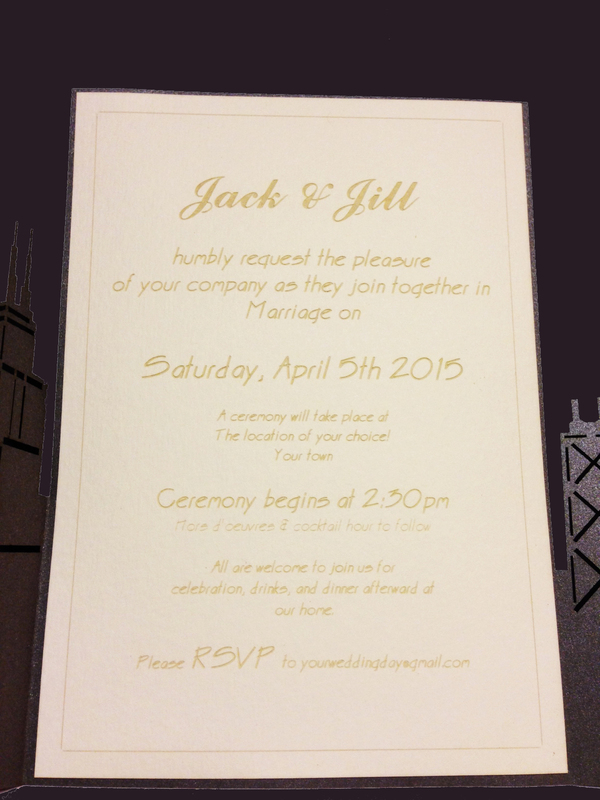 These invitations are completely customizable! Get in touch to start your order today.